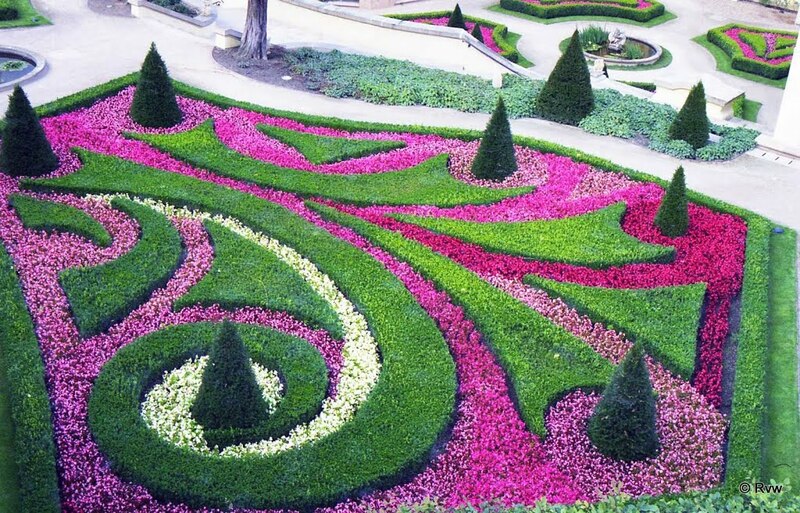 Throughout history, gardens have mirrored the social, political and religious outlook of the times. 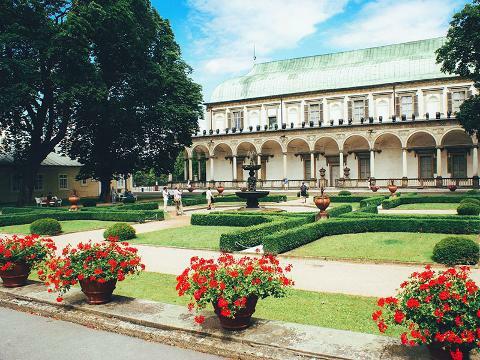 While this tour focuses on gardens of the Renaissance and the Baroque periods, there are also horticultural gems scattered around the city dating from Medieval to modern times, from cloistered gardens to sprawling picturesque wonders. Earlier Medieval gardens were primarily cultivating herbs for medicinal or culinary use and have only been preserved in certain Gothic cloisters. Vineyards on the hills around Prague also date back to before Charles IV. But the idea of a large palace garden only emerged in the 1500s with Emperor Ferdinand I, who was particularly keen on the lush Mediterranean gardens inspired by the Italian Renaissance. 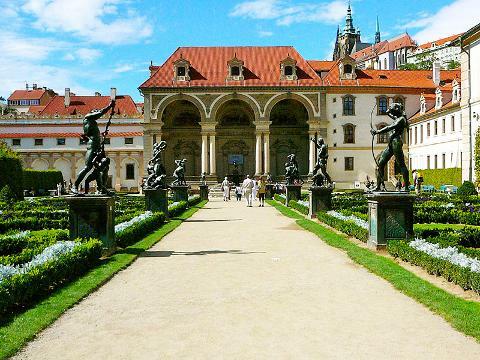 Ferdinand’s fascinated reaction was to bring classicism north of the Alps, importing a formidable team of Italian gardeners and architects to the capital of Bohemia. Highlights of the Garden’s Renaissance zeitgeist include the Belvedere summer palace commissioned by Ferdinand I as a present to his wife Queen Anne, although she did not live to see its completion. One of the reliefs depicts Ferdinand gallantly presenting his wife with a flower from the Royal gardens surrounding the palace. Designed by the Italian Paola della Stella, it is often described as the most beautiful renaissance structure outside of Italy. In front of this pleasure palace is a Giardinetto with the so-called Singing Fountain cast in 1564 in bell bronze so that the dropping of water into the bowl causes it to resonate or “sing.” Our walk moves through the Fig House and the Orangery, where figs, almonds, oranges and lemons were grown for the first time in Central Europe. Towards the western end we consider how tulips, a hitherto unknown flower in Europe, were introduced to the Royal gardens as an exotic gift by the Turkish Sultan of Constantinople. The bulbs were later exported throughout Europe, including the Netherlands where they reached extraordinary popularity ultimately causing Tulipomania crash, the tulip bulb speculative bubble of the 1630s! We admire the stag moat, before crossing through the castle courtyards and descending the Bull Stairs to the South Gardens. After visiting a few of the sites in the Garden of Paradise and the Garden on the Bulwark, we will walk down the hill through a collection of lovely terraced gardens below the castle. 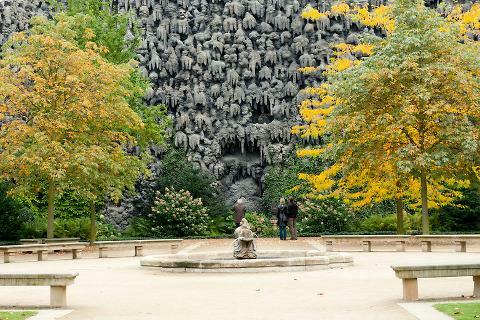 At the bottom of the hill is the breathtaking and grand Wallenstein Garden, with its albino peacocks, mannerist statues, grotto wall and mythical fountains. Here, we learn not only of the transition from Renaissance classicism to Baroque philosophies, but also of the dramatic life of the garden’s commissioner, Albrecht von Wallenstein, who rose meteorically to prominence as the Supreme Commander of the armies of the Hapsburg Empire, only to be assassinated by his wary emperor for the political power he amassed from his victories in the Thirty Year’s War. 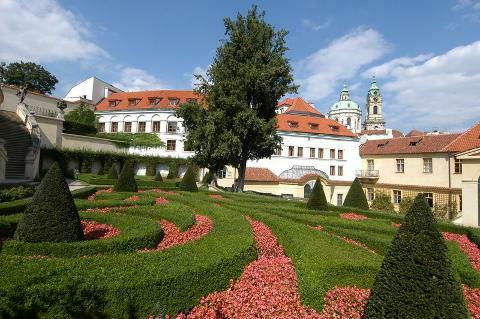 As a graceful conclusion, we help you to encounter the Vrtba Garden, a hidden gem of a Baroque walled garden from 1720 in Lesser Town (Mala Strana), rarely seen by visitors to Prague even though it provides a luminous glimpse into life of nobility in the 18th century and the aesthetics of Baroque landscaping. When you climb to the very top courtyard with its marine-themed grotto, you are also rewarded by beautiful vistas of Prague’s cityscape.